MUNICH (Bloomberg) -- Rolls-Royce is replacing the $386,000 Phantom limousine, the brand’s first model built under BMW’s ownership, after a 13-year run as the maker of ultraluxury cars switches to building vehicles with lighter aluminum frames. The eighth generation of the Phantom will debut in 2018, while the coupe and drophead coupe variants won’t be renewed, the U.K. manufacturer said in a statement. 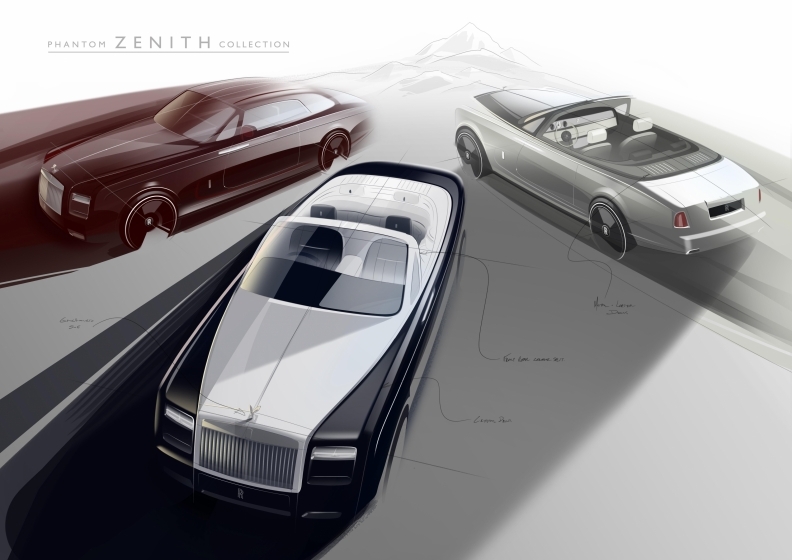 A special collectors’ range of 50 cars, dubbed the Phantom Zenith, will mark the end of the coupe versions this year and feature a special tailgate with seats for country picnics. The new model will be a “contemporary and beautiful Phantom enhanced with cutting-edge technologies and design innovations,” Rolls-Royce CEO Torsten Mueller-Oetvoes said in the statement. All of Rolls-Royce’s new autos will be built on aluminum frames as of 2018, including a planned sport utility vehicle that could be available that year. The 112-year-old carmaker, which BMW gained control of in 2000, is competing with other ultraluxury producers such as Bentley by entering new model segments. Rolls-Royce, the market leader in making cars costing more than 200,000 euros, is also considering adding electric models. Rolls-Royce’s deliveries last year fell 6.8 percent to 3,785 vehicles after demand in China contracted 54 percent. That compares with deliveries of 1.9 million cars by the German parent’s namesake BMW marque.